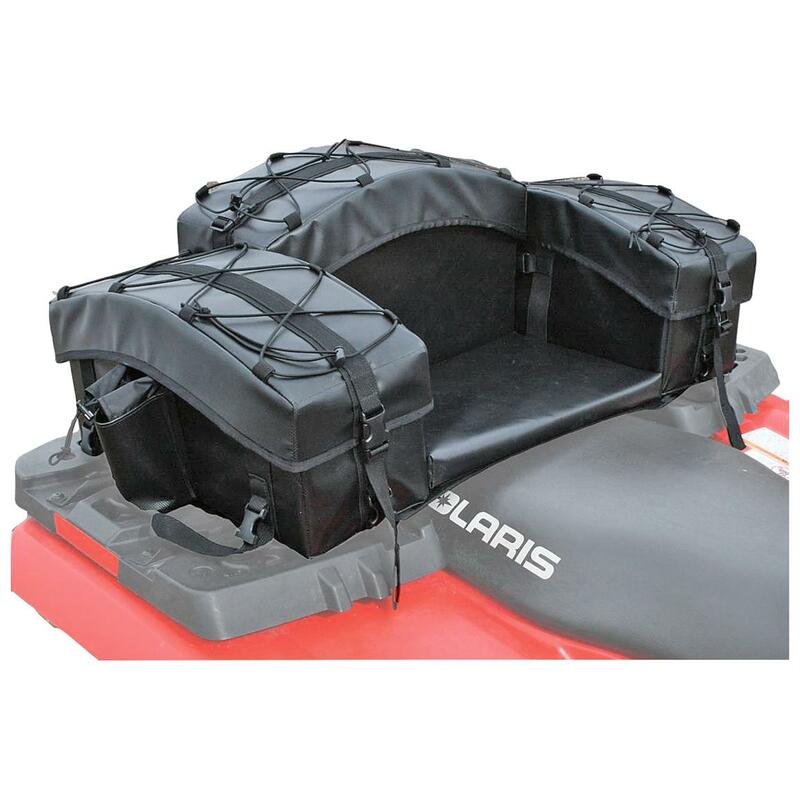 The tubular steel frame used in Arch Series ATV Bags brings superior strength and durability, while also helping the Bag maintain a weather tight seal. Arched design sheds water... no pooling. Zipper-free design! 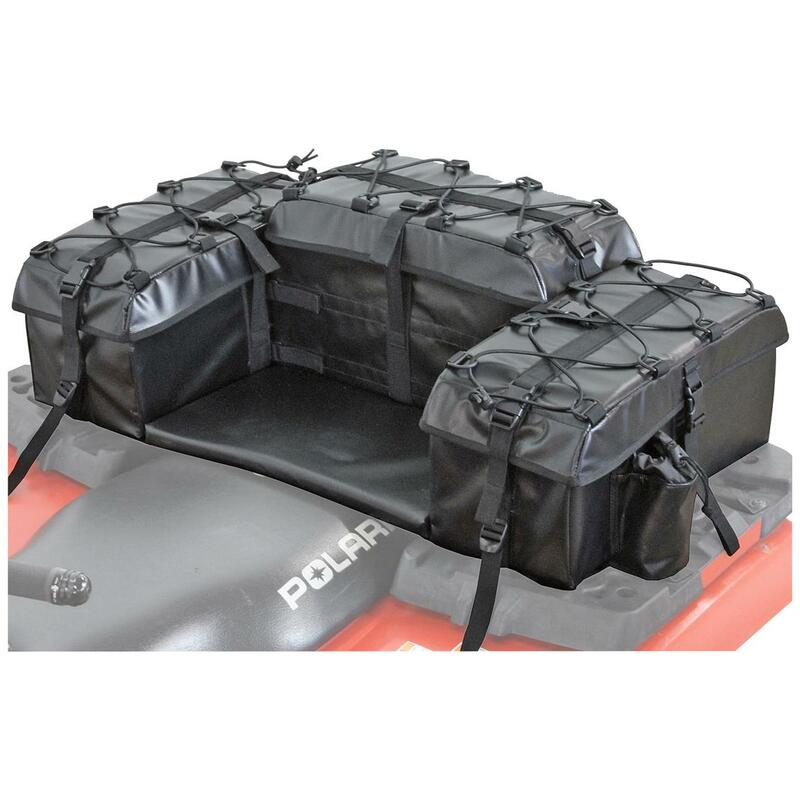 2-way lid allows you to get to your cargo from the front or back. The arched top compresses tightly against the arched steel frame to ensure constant pressure and a tight, gap-free seal. Made from waterproof, fade- and mold-resistant tarpaulin, the Arch Series ATV Bag stands tall in conditions that would send lesser bags packing. But this Bag isn't just built tough, it has smarts, too. Supported by the steel frame are three separate compartments with 2 drink holders. It's a clever design you'll find extremely convenient in the field. Measures 35" x 19" x 11"
Load it up and order today! Total dimensions: 35" x 19" x 11"